For the first time in his pro career, Lefty will not play his hometown event at Torrey Pines. For the first time in his 29 years, Phil Mickelson will not be participating in his hometown PGA Tour event at Torrey Pines in San Diego. The Farmers Insurance Open will be devoid of the 48-year-old Mickelson this upcoming week at Torrey Pines, which Lefty has played in for 28 consecutive tournaments and won three times. His first win came in 1993 when the event was called the Buick Invitational, before winning it in back-to-back years in 2000 and 2001. Ironically, Mickelson has gone winless at Torrey Pines since the iconic South Course was redesigned in 2001. Mickelson said on Thursday that the course is not "a good place for him" anymore and was unsure that his game was ready for Torrey Pines. "I'll know shortly [if I'm playing the event]," Mickelson said on Friday. "It's a tough thing for me because I love that tournament and I love the community and to play six in a row is just, it's not going to happen. So I don't know which ones I'm going to miss and we're still trying to figure it out. I should know shortly, I just don't know right now." Mickelson's comments doubled down on his intention to cut back on his PGA Tour schedule in 2019, which he hinted at this past fall. He's admitted that the arduous season has taken a toll on the 43-time PGA Tour winner. 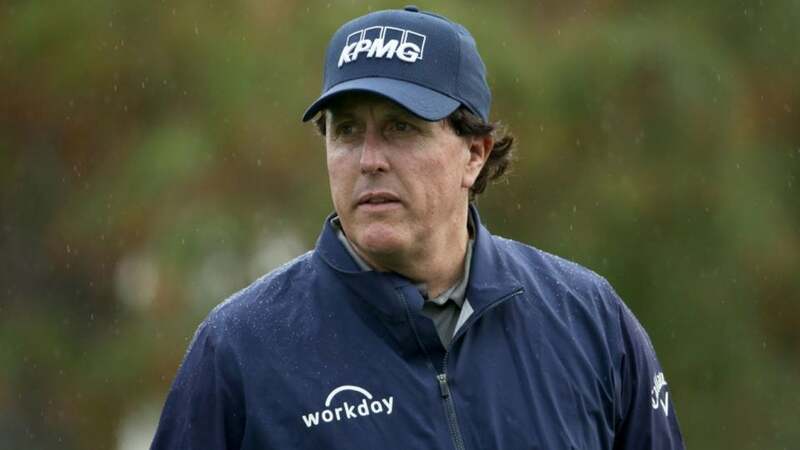 “I’m going to have to start limiting the number of tournaments that I play so that I can play those at a higher level, because I’m getting a little bit more mental fatigue and not able to focus and see the shot as clearly as I’d like for so many weeks in a row," Mickelson said. Mickelson eventually made the announcement official on Twitter on Friday. "I want to share my updated tour schedule: this week I will be playing here in the desert, Phoenix, Pebble Beach, and then defending my title in Mexico," Mickelson tweeted. "My streak of 28-straight Farmers Insurance Opens will end next week. I will try to make it up to the great community of SD!" After appearing at the Desert Classic in La Quinta, Calif., this weekend, the five-time major champion's next appearance on Tour will come in two weeks at the Waste Management Phoenix Open. Despite Lefty missing out on the Farmers Insurance Open, the other half of The Match will be in attendance at Torrey Pines: Tiger Woods will be making his highly anticipated 2019 season debut at a place he's won at eight times in his career.